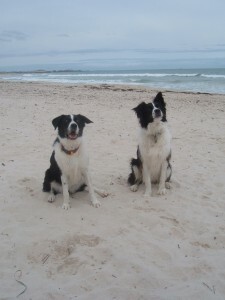 We are lucky here in Busselton, Dunsborough and Margaret River, we have such beautiful beaches. 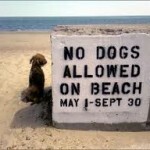 Our dogs are lucky too, they are allowed free rein on many of our beaches (not like Miami, anyone read Marley and Me?). Unfortunately, this also comes with a few health risks, most commonly snake bite , salt toxicity , heat stroke and Blowfish (Puffer fish) ingestion. 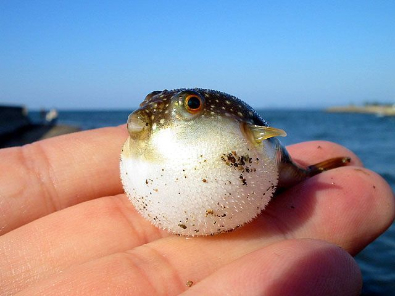 Blowfish, like toadfish and blue-ringed octopus, contain a very deadly poison called tetrodotoxin, which can cause paralysis if enough is eaten. Dogs who eat a relatively small amount usually begin to vomit within 10 minutes of ingestion. Luckily, this vomiting is often enough to remove the fish from the dog’s body and prevent further toxicity. However, if this is not the case, paralysis may occur within 8-12 hours. This is often seen in mild cases, or in early severe cases, as a wobbliness at the walk and dilated pupils (similar to snake bite). 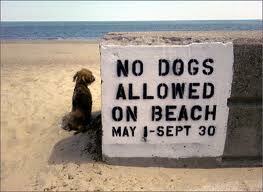 If your dog has eaten blowfish you need to bring him/her into the clinic, even if he/she has already vomited. We will induce vomiting to ensure all the fish is out of your dog’s system, then we will give some activated charcoal to help prevent absorption of any more toxin. Your dog will need to be observed for approximately 12 hours to ensure that no paralysis is developing. If this is the case, your dog will need to be monitored by observation, physical examination and blood gas analysis at the clinic, and given supportive care such as IV fluids and oxygen, occasionally, some more severe cases will require mechanical ventilation and blood pressure support. Most dogs only suffer from mild toxicity with vomiting and some wobbliness and have an excellent prognosis.